Grew Up… as the “perfect child.”Even thoughshe’s the younger of the two Parsons sisters, Ellen always acted like the big sister by always taking care of things. Her family was working-class and slightly abusive, but that didn’t stop Ellen from working hard and excelling in law school. Living… in New York City with her fiancé… that is until he is murdered in their apartment. After cleaning up the blood, Ellen now spends most of her time outside of her apartment, doing work for her boss Patty. Profession… attorney.After graduating from law school,Ellen felt ready to take on the world and worked as a summer associate at the prestigious firm Nye, Everett, and Polk. But she turns down a five-year contract with them in favor of an interview with Hewes & Associates. 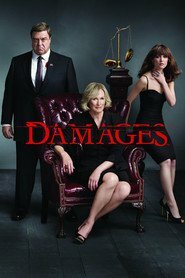 Even after being warned about the dangerous, but legendary, lawyer Patty Hewes, Ellen still pursues the job and takes it. Interests… being the best lawyer, daughter, and girlfriend she can be. Ellen believes in justice and doing what’s right, and so she’s interested in finding the best way to make that happen. Relationship Status… engaged, for a little while. While they’re together, David is a supportive and loving partner to Ellen. But, Ellen’s career comes first, and the moral ambiguity that comes with working for Patty does not sit well with David. Challenge… balancing her own morals while striving to be the best. With a domineering mentor like Patty, it’s hard not to succumb to her ruthless ways. Personality… ambitious, idealistic, and dedicated. Ellen works hard at everything she does and believes in being the best. But, she’ll have to learn how to hold on to that virtue as she enters the cutthroat world of law under Patty’s guidance. Ellen Parsons's popularity ranking on CharacTour is #4055 out of 5,000+ characters. See our top-ranked characters and read their profiles.